What Type of Injuries and Symtoms Does Cervical Spine Damage Cause? For a full list of symptoms from the other vertebrae, read more! Did you know that many pain, injury, and illness symptoms are caused by spinal injuries and subluxations? This blog post is the first of a three-part series that will be breaking down each section of the spine into its respective regions, the cervical, thoracic, and lumbar area, while also detailing the type of symptoms that injuries to each specific area can cause. What Kind of Symptoms are Experienced After Damage to the Cervical Spine (C1-C7)? Depending on the type of accident that caused your spinal injury, your resulting symptoms can range from extremely severe, like paralysis, to minor ailments that will heal on their own. Below is the breakdown of the C1-C7 vertebrae and the symptoms each has the potential to cause when they become damaged or compressed. 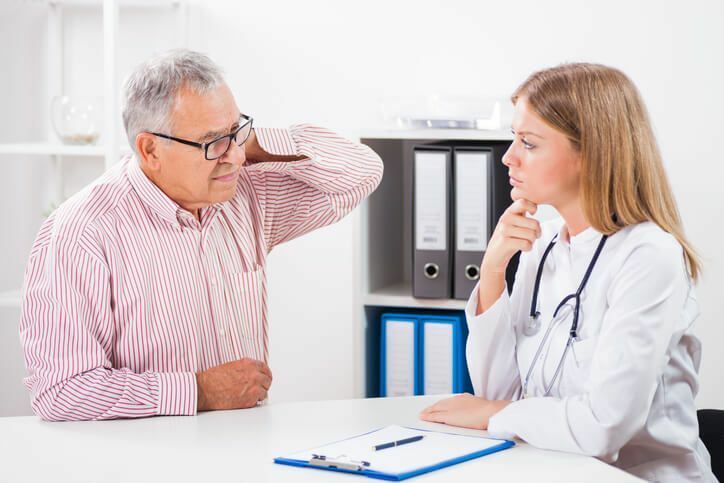 This list can uncover many issues you may have been dealing with for years but you had no idea that it traced back to an old injury you might have suffered years ago. The C1 vertebra is known as Atlas, and the C2 is known as Axis. The first two segments of the cervical spine are made up of these two vertebrae. These vertebrae support the head and work together in order to allow the head to rotate. Therefore, any injury to one of these vertebrae can cause limited ability to move the head or neck. The Atlas is vitally important to the function of the rest of the spinal cord, and some chiropractors specialize in only adjusting the Atlas because its effects are so powerful on the rest of the spine and its function. Consequently, most medical professionals consider injuries to the first and second vertebrae in the cervical spine to be the most serious type of spinal cord injury. This is because severe damage to the C1 or C2 commonly causes full paralysis or death. The C3 vertebra is slightly less fragile than the first two, but severe injuries can still occur if badly damaged. Individuals who experience spinal cord damage in this area usually suffer from limited mobility with the "flexion and extension" movement of the neck. Damage to the C4 vertebra directly affects the diaphragm, which means victims of severe spinal cord injury in this area often require constant support in order to breathe and maintain healthy oxygen levels. C5 vertebral damage does not usually cause paralysis or the inability to breathe or speak on one's own. However, some symptoms of a C5 spinal cord injury can still be traumatic and take time to heal and recover fully. One of the most common symptoms people experience after suffering a C6 injury is a similar to carpal tunnel syndrome. Victims will feel a numbness or tingling in their fingers, hands, or arms. Additionally, pressure on the C6 nerve can cause problems with muscle control in the forearms and wrists. Symptoms of a C6 vertebra injury can be experienced on one or both sides of the body. The last vertebra in the cervical spine is the C7. Individuals who have suffered injuries to this vertebra can potentially experience more severe symptoms like, numbness or tingling in the hands and fingers. 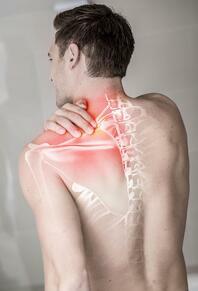 What Causes a Cervical Spine Injury? There are many potential causes of a spinal injury, but below is a list of the most common our accident injury doctors see and treat on a daily basis. If you are in pain after sustaining a cervical spine injury call the professional chiropractic doctors at Arrowhead Clinic today. 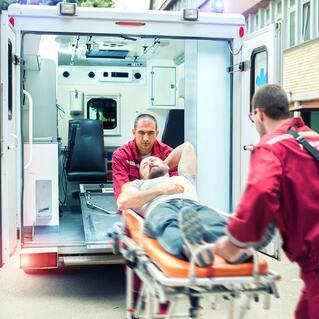 Our doctors specialize in helping victims of accidents that sustain an injury to the neck and back. Learn more about how a chiropractor can help with spinal injuries! Click on the link below for a free consultation with the doctor.